A division bench of Chief Justice Gita Mittal and Justice Tashi Rabstan issued notice to the state government on a PIL filed by former IAS officer Shah Faesal. Movement of civilian traffic on National Highway 44 has been banned on Sundays and Wednesdays. The Jammu and Kashmir High Court on Monday issued a notice to the state government on a plea seeking striking down of the ban on movement of civilian vehicles on the Jammu-Srinagar national highway on Sundays and Wednesdays. 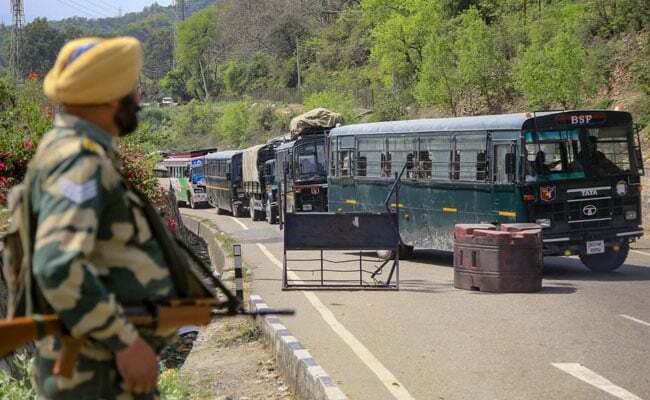 Mr Faesal, in his PIL, has sought quashing of the order passed by state government last week, according to which the movement of civilian traffic on National Highway 44 between Udhampur and Baramulla has been banned on Sundays and Wednesdays to allow safe passage to security forces convoys. The ban came into force on Sunday. Mr Faesal, the 2010 batch UPSC topper, resigned from the Indian Administrative Service (IAS) in January this year. Last month, he launched his own party the 'Jammu and Kashmir People's Movement'.